We offer hosted warm and welcoming country hospitality within the village of Berry in our large rustic style B&B. See SEPERATE LISTINGS for each INDIVIDUAL ROOM for further details and CHEAPER BOOKING RATES for 1, 2 or 3 GUESTS. We have a dedicated wing for the B&B rooms. There are three large guest bedrooms available with super comfortable beds with pillow top or latex mattresses and crisp clean linen. There are 3 guest bathrooms. Tea and coffee making facilities, crockery, glasses and fridge is provided for our B&B guests. A delicious continental breakfast is included in your B&B stay, consisting of fresh fruit, yoghurt, juices, cereals, Berry sourdough breads, house made granola and banana bread, tea and awesome coffee, served at the large farmhouse table. Kitchen facilities may be available by prior arrangement. This does not fall into B&B amenities. If full kitchen facilities are required a surcharge would apply. Cooked breakfast ($10) available by prior arrangement. The shared guest areas are large, comfortable and clean. Guests are able to relax and enjoy two generous lounge areas both with wood fires in winter, a large satellite TV and French doors to shady courtyards in summer. The B&B consists of lots of recycled elements, timber and handmade recycled bricks. The property is set on 3 acres with a permanently running creek. We are in the village, 5 mins by car to the shops or a 20-30 minute stroll. Behind us we have country lanes where you can walk through farms and vineyards. Animals live on this 3 acre property. Checkout 10am unless by prior arrangement. Unfortunately we are not able to accommodate children. Relax, enjoy your stay at Berry B&B and the beautiful Shoalhaven and Berry township. Check out our Face Book Page for current local events. Thanks Janell. We loved having you all stay. So welcome. The only problem at Berry B&B was having to leave after only 3 days. Set in a beautiful country environment, the only sound being the birds, away from the rush and noise of Sydney, we relaxed and had a wonderful holiday. The hosts were wonderful, always ready to help, but never intrusive. It was our first stay at a B&B - it won't be our last. Thanks John and Diane. It really was a privilege being able to host you for your first ever B&B stay. Delighted you enjoyed your mini holiday and to hear all the space and comfort you needed were here. There'll always be a room here for you both! Pleased to be able to provide a comfortable place to rest and revive. Hope to see you again Sue on your next visit to Berry. I work in Nowra some weeks and I wanted the personal touch of a B and B. I have it in spades. Wonderful couple Mandy and Peter made me feel welcome from the moment I arrived. Beautiful property inside and out. Beautifully kept gardens, solar heated swimming pool, lovely rooms super comfy bed, lounge and outdoor setting. Better than home !! And the breakfast was superb. Fresh fruit, homemade granola, bircher muesli, sourdough toast and home cooked banana bread. And beautiful flavour of coffee... forgot to ask what beans. Just superb in a top country location with only five minute drive to shops. My new home away from home. Thanks Peter. Delighted to be your ‘home away from home’. Thanks Laila. 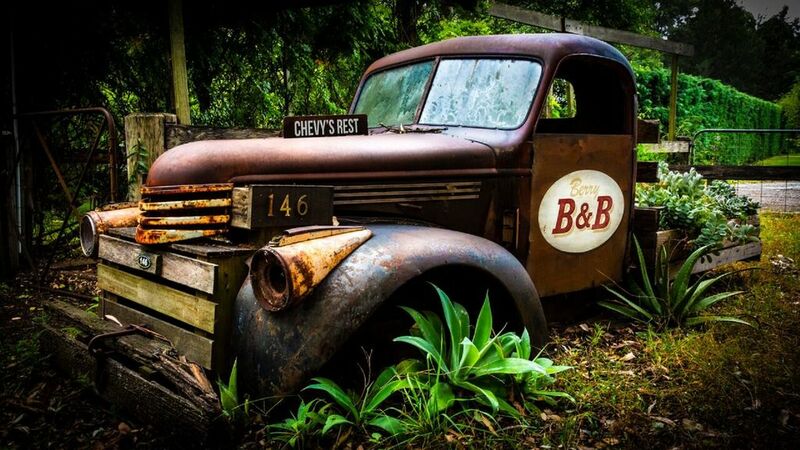 Glad you were able to recharge and relax at Berry B&B.